Hello, I hope you are having a great weekend! It is time for a new challenge at AAA Cards and die cuts are the focus. 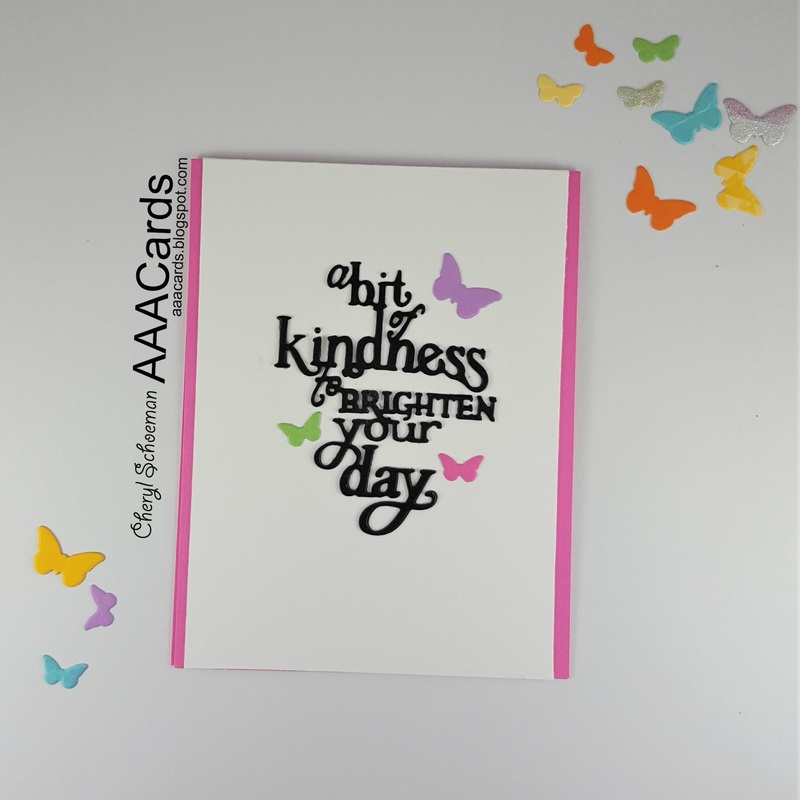 We're looking for CAS cards that feature die cuts as their main and focal point. We will accept the addition of a stamped sentiment, but not stamped images that have been die cut. As always our definiton of CAS means that white space should not be patterned, embossed or textured. Here is my card for this challenge. I will be honest, this was a hard challenge for me. I like die cuts but really using stamps and getting inky is my go-to happy place :) However, this challenge forced me to get out of my comfort zone which is a good thing. I had this sentiment die for awhile and hadn't used it yet. It is a very intricate die and my cutting plates are a bit worn so I had to run it through my machine a couple of time and used a scrap piece of cardstock as part of the layers to add some extra pressure. After that, it came out perfectly. I adhered the sentiment to a piece of white cardstock. I have several small butterfly dies so I knew I wanted to add them around the sentiment. I couldn't decide on the colors though and I have a whole folder of scrap paper so I just started cutting out butterflies of all different colors. 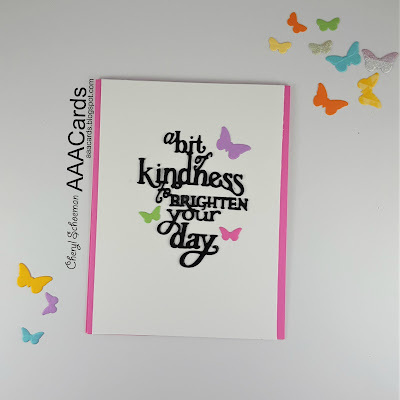 To frame the sentiment, I trimmed down the white cardstock on the sides and added it to a pink A2 card. 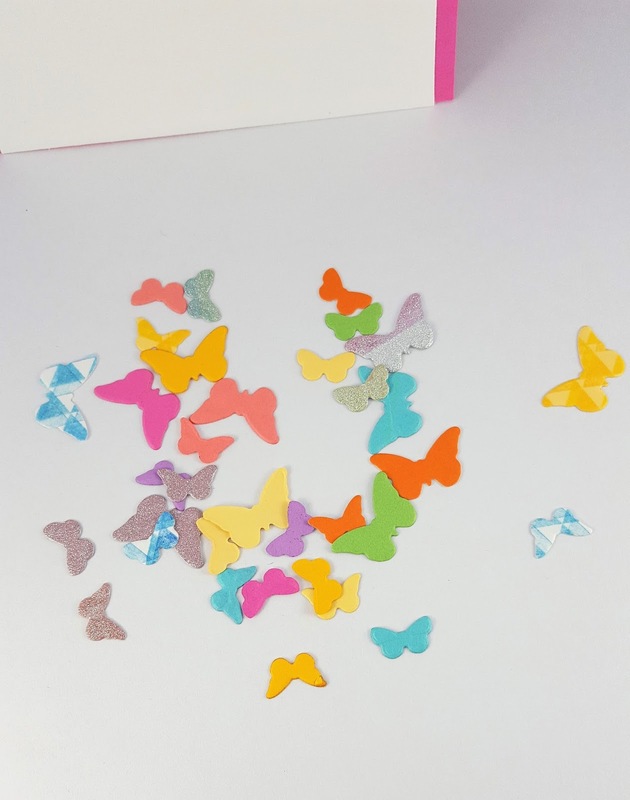 Then I chose a few butterflies to use and put them around the words. Now it's your turn to show your creativity. Our sponsor is STAMPlorations and we have a talented guest designer - Noga Shefer on instagram (@noga.shefer). Noga and the design team have come up with some great cards for the challenge. Well it may have challenged you, but the result is a definite winner! 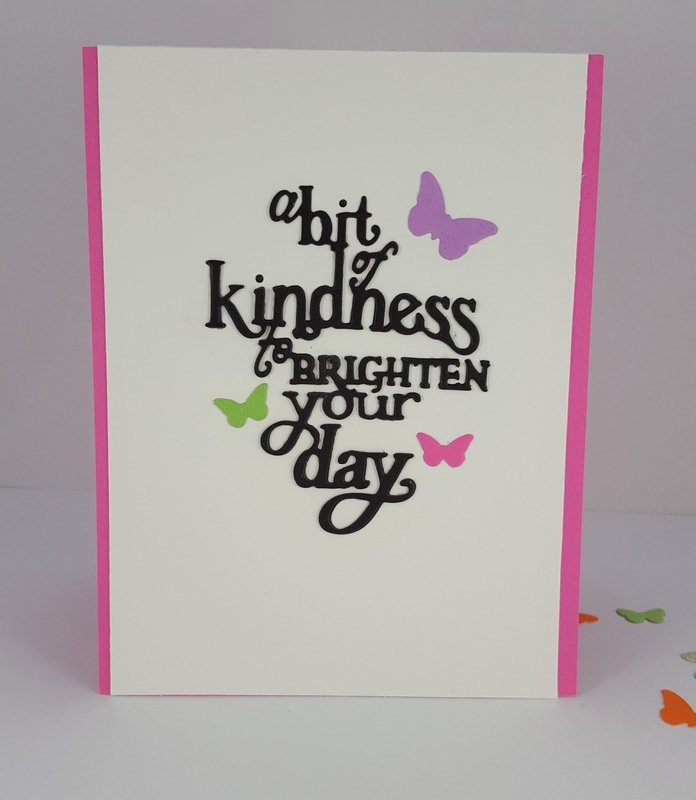 Love that sentiment die and the finishing touches of the brightly coloured butterflies is just perfect. Oooooo, lovely. Great CAS card, Cheryl. It looks like this was totally natural for you. Beautifully done. This is gorgeous! CAS perfection! !